If you're all about feeling relaxed when it comes to dressing up, this combination of a grey overcoat and a Brixton messer ii felted wool fedora is just for you. 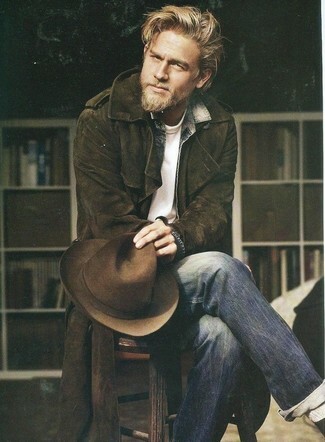 Consider wearing a burgundy corduroy barn jacket and a Brixton messer ii felted wool fedora from Nordstrom to be both cool and relaxed. 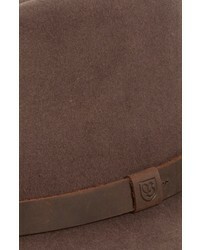 Sporting a pair of dark brown leather derby shoes is an easy way to add some flair to your ensemble. 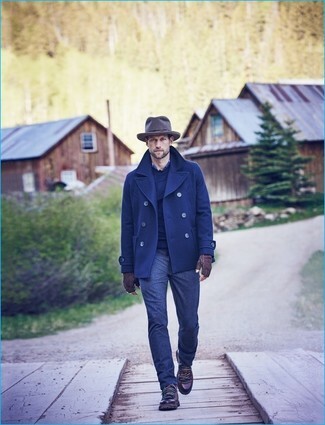 A navy pea coat and a Brixton messer ii felted wool fedora are a great outfit formula to have in your arsenal. 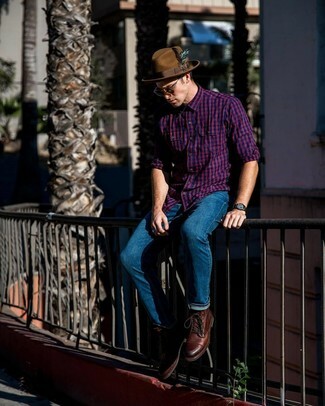 Dress down this getup with burgundy leather work boots. 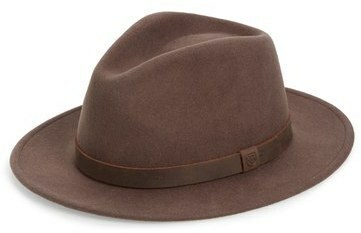 If you prefer functionality dressing when it comes to your personal style, you'll love this on-trend pairing of a brown gingham blazer and a Brixton messer ii felted wool fedora. You could perhaps get a little creative in the footwear department and dress up your getup with dark brown leather monks. 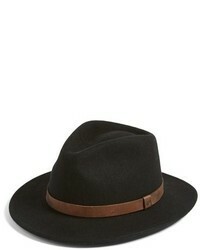 Reach for a black cotton blazer and a Brixton messer ii felted wool fedora from Nordstrom if you're on the lookout for an outfit idea for when you want to look casually cool. 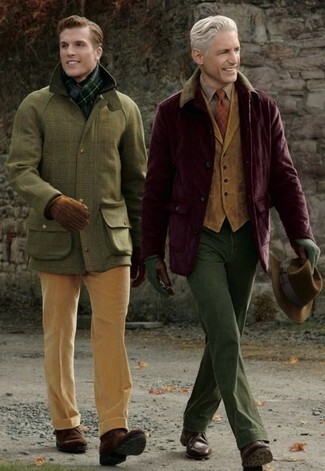 Let's make a bit more effort now and throw in a pair of brown leather derby shoes. If you're a fan of comfort dressing when it comes to fashion, you'll love this easy combination of a camel overcoat and a Brixton messer ii felted wool fedora from Nordstrom. 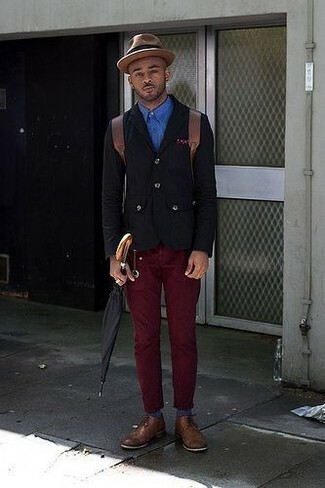 And if you want to instantly kick up the style of your look with one piece, add brown leather brogues to the equation. 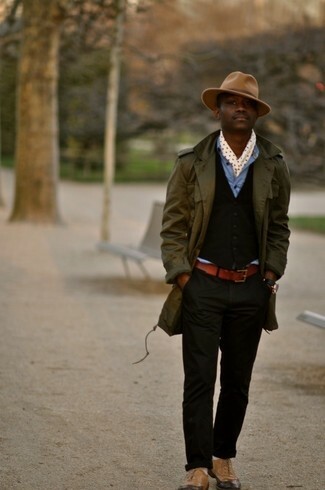 If you're a fan of relaxed dressing when it comes to your personal style, you'll love this stylish combination of an olive trenchcoat and a Brixton messer ii felted wool fedora from Nordstrom. Lift up your ensemble with brown leather oxford shoes. 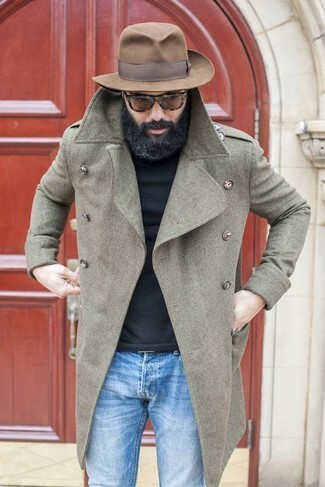 We're all seeking comfort when it comes to dressing up, and this combination of a dark green corduroy trenchcoat and a brown wool hat is a practical example of that. Consider wearing a purple gingham long sleeve shirt and a Brixton messer ii felted wool fedora, if you want to dress for comfort without looking like a hobo. You could perhaps get a little creative in the footwear department and elevate your look with brown leather casual boots.